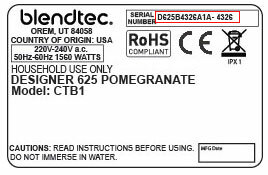 There is nothing worse than hearing you are having a sub-perfect experience with your Blendtec and we know having to make a warranty claim can often be a stressful and upsetting time. Lucky for you, when you made that Blendtec purchase, you got a lot more than just a blender; you got our desire to be miles ahead of the competition when it comes to after-sales service & customer satisfaction. Air aim is to process your claim within a few hours and get your unit repairs ASAP so you can get back to blending in no time. If you own a commercial Blendtec blender please contact ‘Beyond The Bean for assistance on 0117 953 3522. Please note: We know your time is valuable, so if you are unsure whether it is definitely a motor base issue, please fill out our jar replacement form. This may allow our technicians to identify the issue faster and more accurately without needing to further trouble shoot possible causes with you. 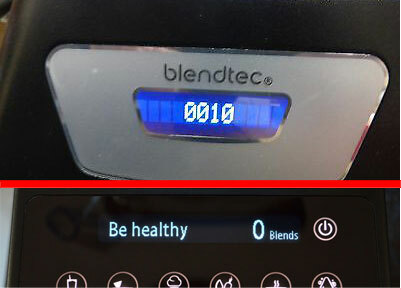 Fancy upgrading to a new Blendtec blender, maybe with touchscreen display or ultra-silent sound enclosure? Then forget about filling out this form and simply trade in your Blendtec blender for a new one! PLUS 20% discount on any jars and accessories. Your old Blendtec blender will be serviced and, where possible, will go towards helping one of the many charitable causes that we support. Once your warranty request has been approved, we will send you the discount code to be used on our website and will ship your order to you together with your repaired unit. If you change your mind about using the discount code, simply let us know so we can ship out your repaired unit without waiting for your order.